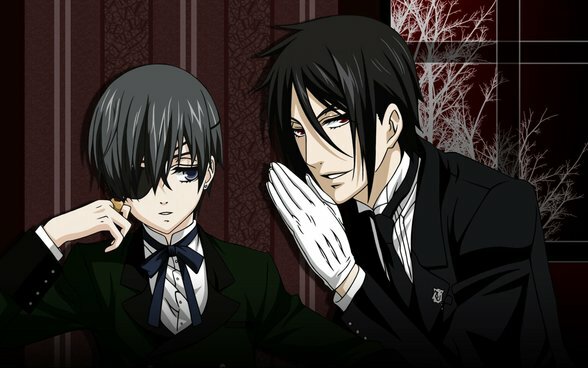 As the “Beginner’s Guide” has turned 10, which is a number connected to British culturally and politically, I’ve decided that my column this week should cover a series set in Britain: Black Butler. 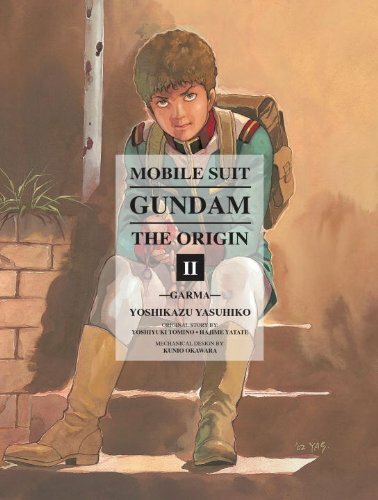 A little while ago I wrote a feature piece on the English release of Mobile Suit Gundam: THE ORIGIN by Vertical. I wrote it for MyM, but sadly my article had to be trimmed a bit. So, to coincide with the release of the second volume this week, for the first time ever I give the full, uncut version of the piece. In 1979 Gundam, one of the most influential anime ever made, first aired. A manga adaptation of the original series has been created and is now available in English. Ian Wolf examines this new collection. There are certain sci-fi series which are noted for their scope, impact and age. In Britain, Doctor Who is celebrating its celebrating its 50th anniversary and is still going. In the States they have TV series like Star Trek and film franchises such as Star Wars. In Japan however, there is, Gundam, which has had a huge impact both on their culture and on many sci-fi series since. It is easy to see why. Since the very first TV anime series was broadcast way back in 1979 it has grown to become one of the biggest and longest running anime franchises ever made. Indeed, it is so big that anyone new to it could easily be intimidated by it. For one thing it is very complex and there have been many spin-offs from the original – seven in fact. Getting your head around all the various plots is therefore tricky enough. To make things worse for us in Britain, the original series, Mobile Suit Gundam (also known as both Gundam 0079 and First Gundam) has never been released here. The only way you could watch was to import the DVD or try and find episodes on YouTube. This is a crying shame. For some reason the big UK anime distributors seem reluctant to want to release older titles such as Gundam or Astro Boy. However, there is now a version of the original series of Gundam than you can get without have to worry about hacking your DVD player. This is because it is available on an ancient, but tried and tested medium, paper. 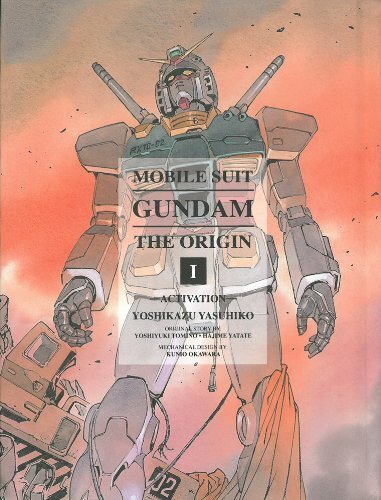 In 2001 a new manga adaptation of the original series began, entitled Mobile Suit Gundam: THE ORIGIN (note the block capitals). It retells the story of the 1979 series, albeit with a few changes that add to the backstory, but the central themes and story remain true. This manga has now been translated into English and published by Vertical, who have taken great lengths to present the manga in all its splendour. The book itself is hardback, printed on glossy paper, frequently uses colour, and also comes with a selection of essays detailing the manga’s creation. It has been so successful in Japan, that this manga adaptation is itself getting an anime adaptation. For those unfamiliar with the story, Mobile Suit Gundam is set in year Universal Century 0079. At this time humanity has spread into space and has several colonies. However, Side 3, the colony furthest from the Earth, has decided to make itself an independent nation called the “Principality of Zeon” thus breaking away from the “Earth Federation”. This results in a bloody war that wipes out half the human population within a month. Eight months later the two sides are at stalemate. Another colony, Side 7, is home to a top-secret new project. The Federation space ship White Base collects this secret project but is followed by Zeon forces who attack the colony. While several residents of Side 7 board White Base and become refugees on it, one 15-year-old boy, Amuro Ray, discovers the new project, which coincidentally was designed by his father who died in the Zeon attack. Amuro decides to use the project to defend his people. This project is the RX-78 02 Gundam, a type of “mobile suit” that is effectively a robotic tank on legs that is armed to the teeth. Amuro defeats his enemies and thus is drafted into the Federation forces as the official Gundam pilot. The story follows his efforts and his own thoughts about the war, the conflict with the Zeon, and Amuro’s own personal conflict with Zeon’s most fearsome masked soldier, Lt. Commander Char Aznable. It is hard when reading this book not to experience a feeling of awe. This is one of the most influential series ever created, and it is presented in such a wonderful way. You find yourself developing your own theories about what influenced the story. Mine is that the Zeon seem to have parallels to the Germans from World War One. Take the uniforms. Char’s helmet is spiked, rather like the German WWI “Pickelhaube” helmets. Also, as his “Zaku” mobile suit is red Char is nicknamed the “Red Comet” a possible reference fighter ace the “Red Baron” von Richthofen. Many fans of the later Gundam series compare Zeon to World War Two’s Nazi Germany. Despite being such a fearsome foe, Char Aznable is reportedly named after the famous French singer Charles Aznavour. 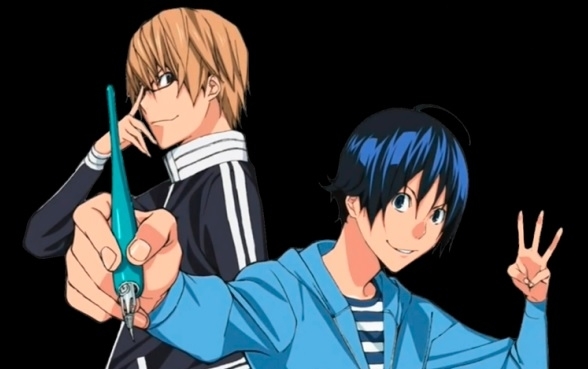 This debut volume covers the events in the first five episodes of the anime. Having seen both you do notice some changes. Some events in the series take place at different points for example, but nothing as previously mentioned, nothing major has been changed of the main plot. The manga’s creator, Yoshikazu Yasuhiko (originally the character designer on the anime) has, however, made changes that certainly make the manga more believable than the anime. For example, in the anime there are one or two sequences where the method of repairing external damage to the White Base’s hull is releasing several gooey balls that are sucked toward the gaping holes by the vacuum of space, and upon impact with the hull they just burst open and repair the hole by covering it in a sticky layer of gunk. This is not in the manga. In another sequence where the Gundam enters the Earth’s atmosphere the anime shows it protecting itself from burning up on re-entry by covering itself with some kind of clear-foil blanket. In the manga, it copes with the burn-up perfectly adequately without this. For me, the most believable change occurs right at the beginning of the story regarding how Amuro learns how to operate the Gundam. In the manga, he appears to have an in-depth knowledge of the machine from reading his father’s computer files, so when he gets into it for his first battle he is pretty familiar with how to operate it. I find this much more credible than how he learns to do it in the 1979 anime where Amuro simply reads an instruction manual. Now call me a pedant, but we all know that no man, anywhere, has ever learnt how to operate anything correctly from reading the manual, whether it be in 1979, 2013, or far, far away in the future. Even today, men’s eyes gloss over as they try to decipher the instructions on how to put together a Billy bookcase from Ikea. To make this scenario even more unbelievable, Amuro reads the manual in the midst of battle having retrieved it from a Federation car which has just been destroyed by Zeon forces. In most dangerous situations you have the option of “fight” or “flight”. If you pick “fight”, the chances are you are going to fight with something you know how to operate already, and if you pick something that you do not how to work the chances are you would probably have to figure it out through guesswork. Even if you did find the manual and tried to read it, the chances are that it would be difficult to process all the information, what with people trying to kill you at the same time and having just witnessed lots of other people be killed a few moments earlier. But let us put aside these pedantic points, all of which appear to have been handled more sensibly now. Instead, let us turn to the impact of Gundam. It is safe to say that every other “mecha” series after it has been influenced in at least some aspect. From Neon Genesis Evangelion to Macross, Code Geass to Lagrange, Nadesico to Gurren Lagann, every single one of these owes a debt to Gundam. You can clearly see recurring themes that flow from the original. Take for example, the age of the lead character. In Mobile Suit Gundam, Amuro is fifteen when he becomes a pilot by circumstance. This idea of the pilot being an unwilling teenager recurs continuously. In the aforementioned series, every single main lead character is aged between 14 and 18 when they start. Of course they take their own themes in different directions. Evangelion is more psychological and apocalyptic; Code Geass has more fantasy elements to it including an alternative world history; Lagrange uses a mainly female crew; Macross features a plot that is highly unpredictable; Nadesico has an entirely different mecha anime series playing in its own universe, and Gurren Lagann is simply bombastic and over-the-top in every joyous way. All of these series have their own unique charms and qualities, and all of them can trace their origins back to the great, and highly influential, Gundam. Now, finally we can relive this series. One of the most important anime that has ever been made, given a new lease of life. If you are new to Gundam, then this is a perfect place to start. Embrace it, enjoy it, learn from it, and begin to realise just how much it influenced all your other favourite mecha. 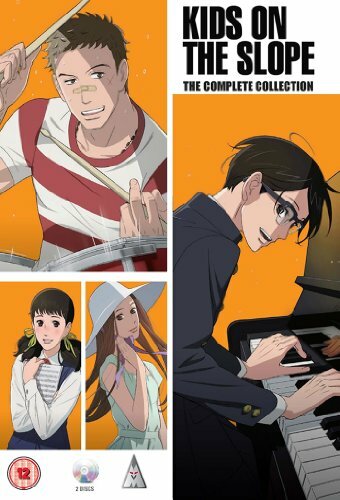 The latest of my reviews for Anime UK News covers the jazz fuelled josei anime Kids on the Slope. 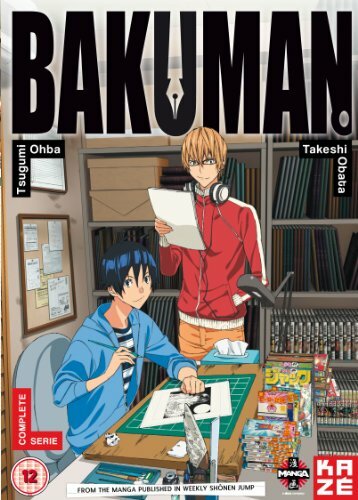 My latest review for Anime UK News covers Bakuman, the anime adaptation of the manga about making manga. 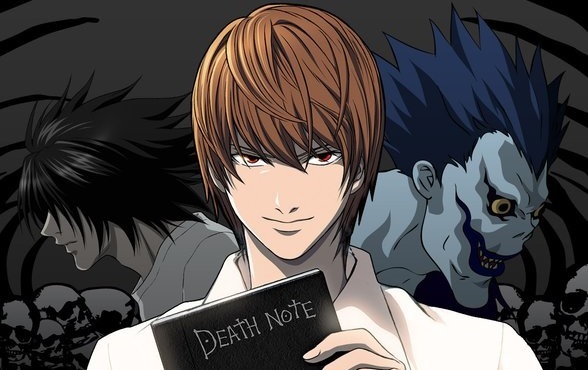 In my latest “Beginner’s Guide” piece for On The Box, I’ve been covering the supernatural thriller Death Note. Feel free to have a glance.